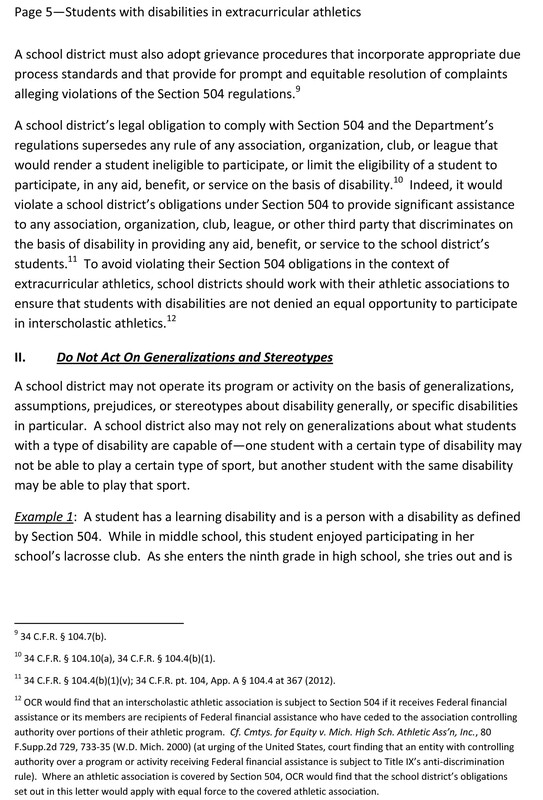 Extracurricular athletics — which include club, intramural, or interscholastic … athletics at all education levels — are an important component of an overall education program. 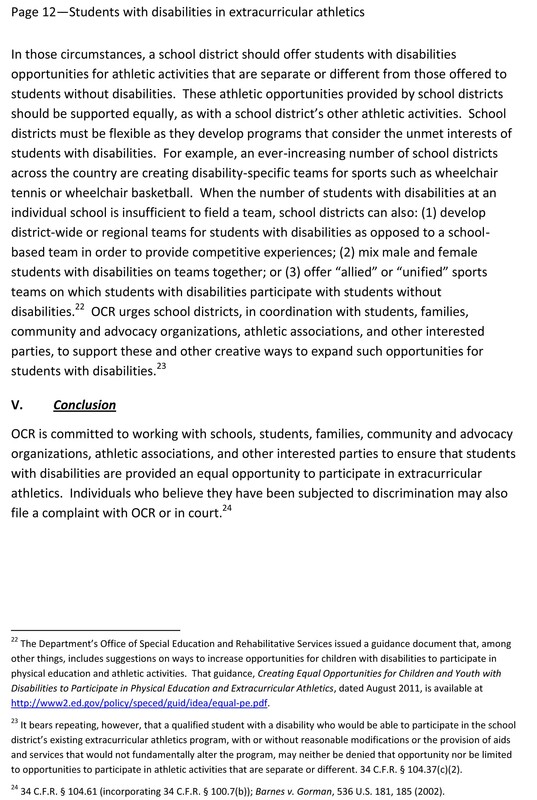 The United States Government Accountability Office (GAO) published a report that underscored that access to, and participation in, extracurricular athletic opportunities provide important health and social benefits to all students, particularly those with disabilities. 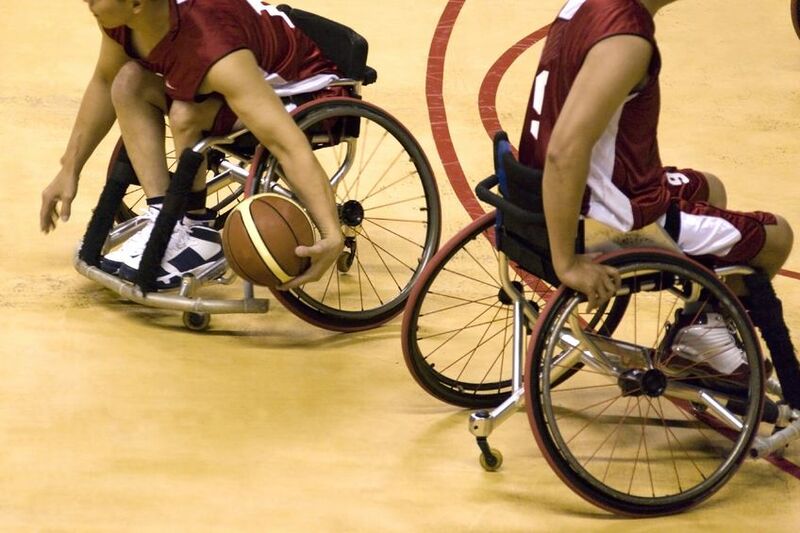 These benefits can include socialization, improved teamwork and leadership skills, and fitness. 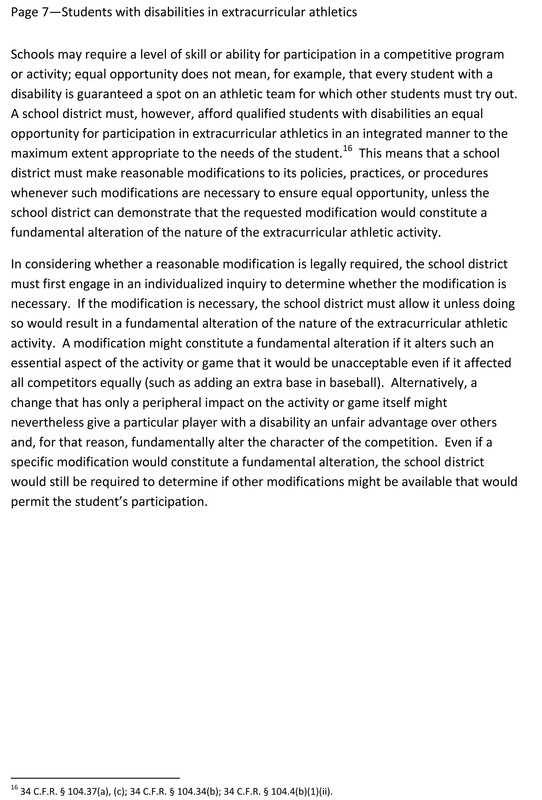 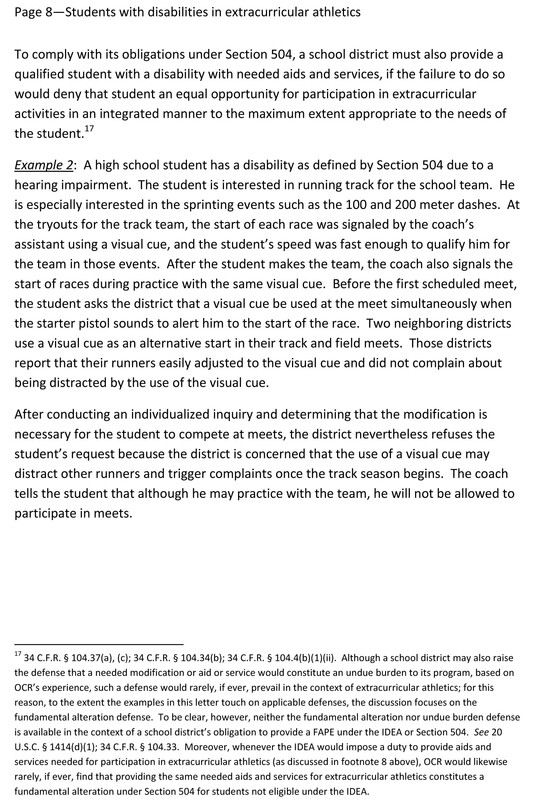 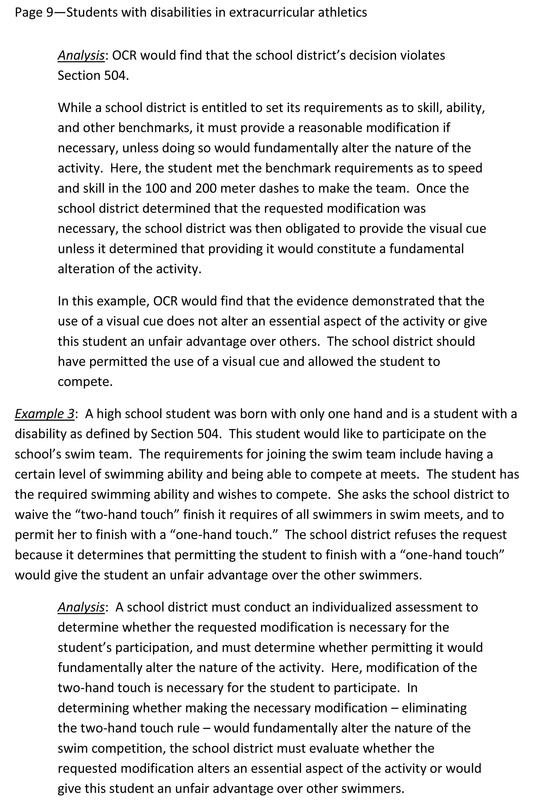 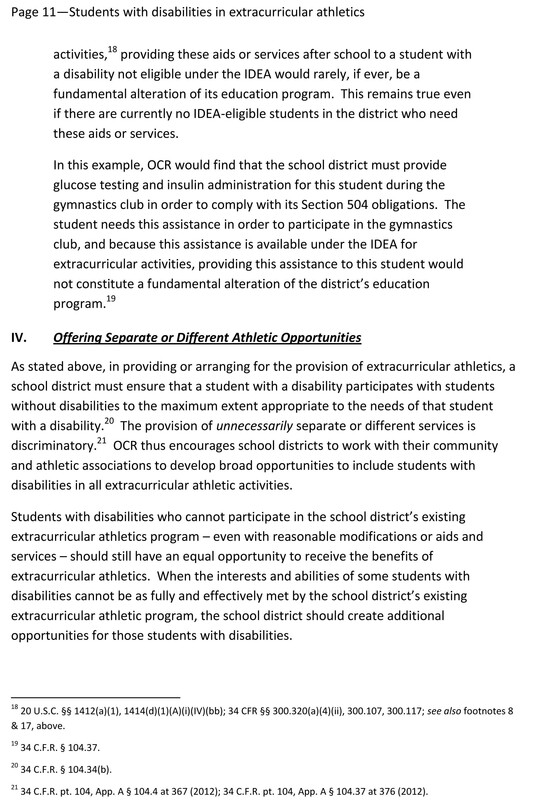 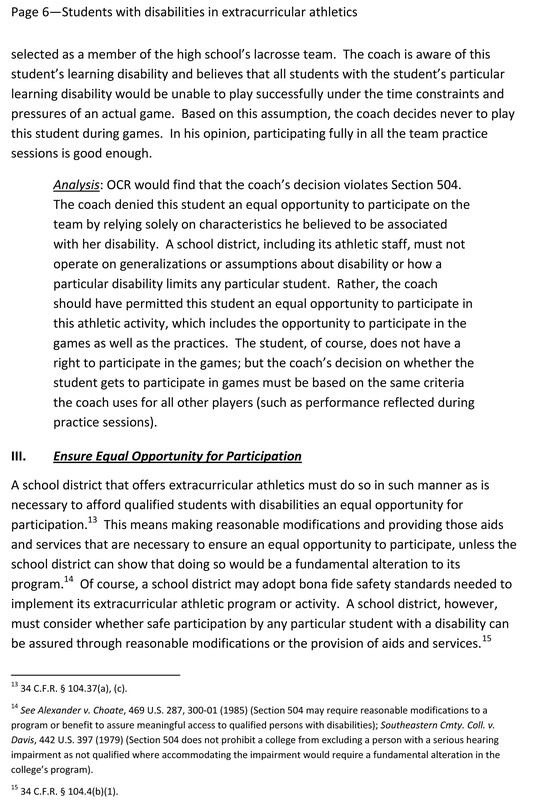 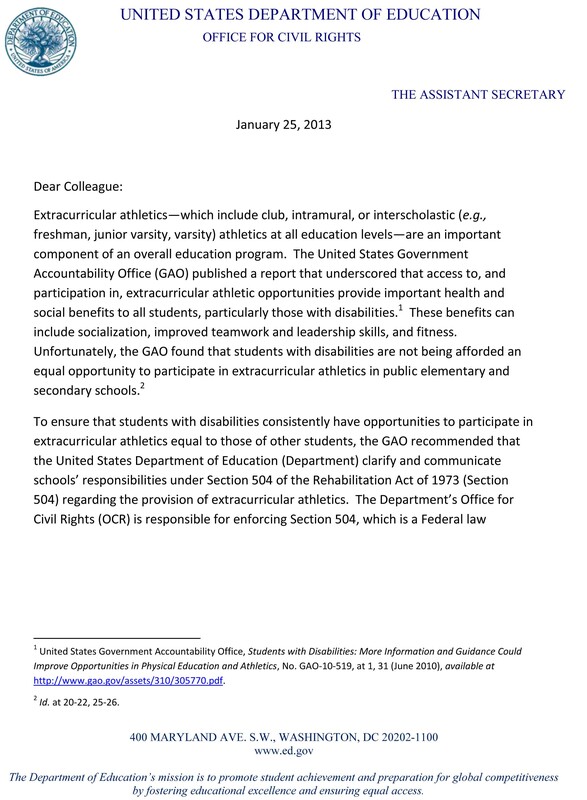 Unfortunately, the GAO found that students with disabilities are not being afforded an equal opportunity to participate in extracurricular athletics in public elementary and secondary schools. 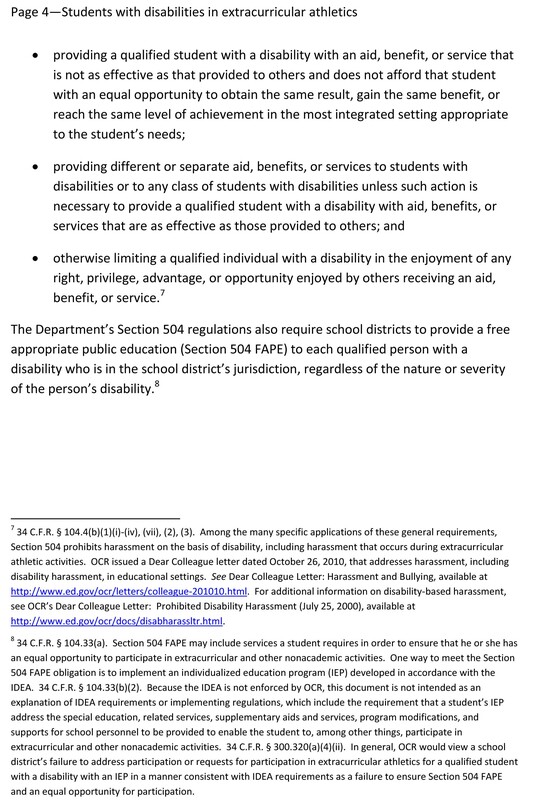 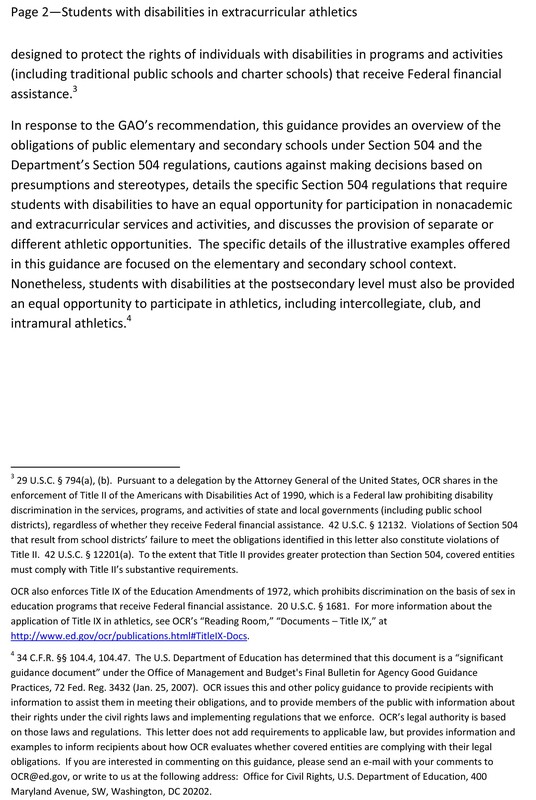 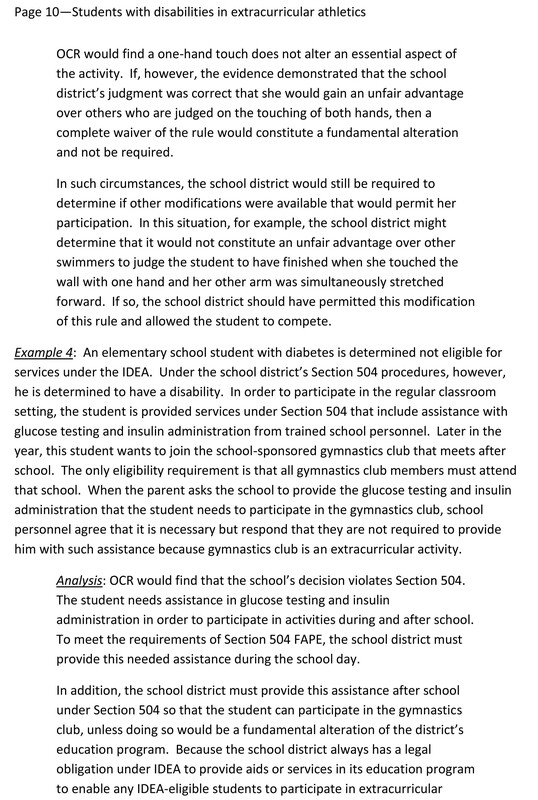 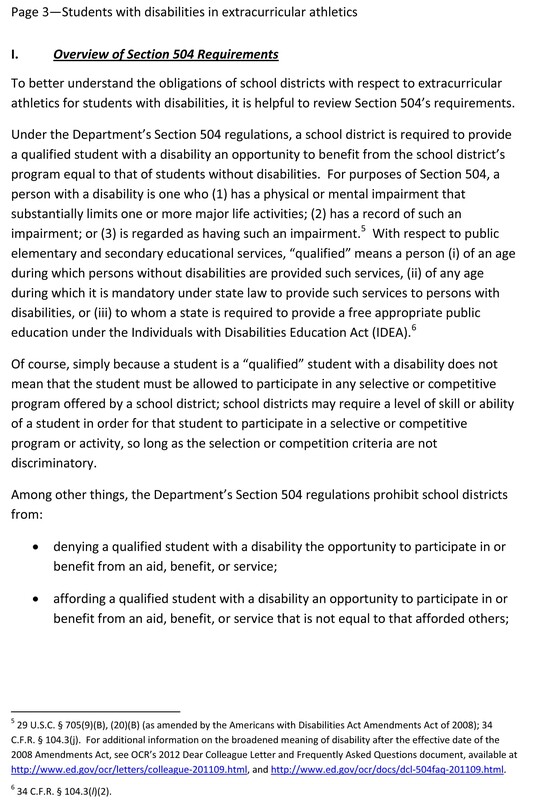 In response to the GAO’s recommendation, this guidance provides an overview of the obligations of public elementary and secondary schools under Section 504 and the Department’s Section 504 regulations, cautions against making decisions based on presumptions and stereotypes, details the specific Section 504 regulations that require students with disabilities to have an equal opportunity for participation in nonacademic and extracurricular services and activities, and discusses the provision of separate or different athletic opportunities. 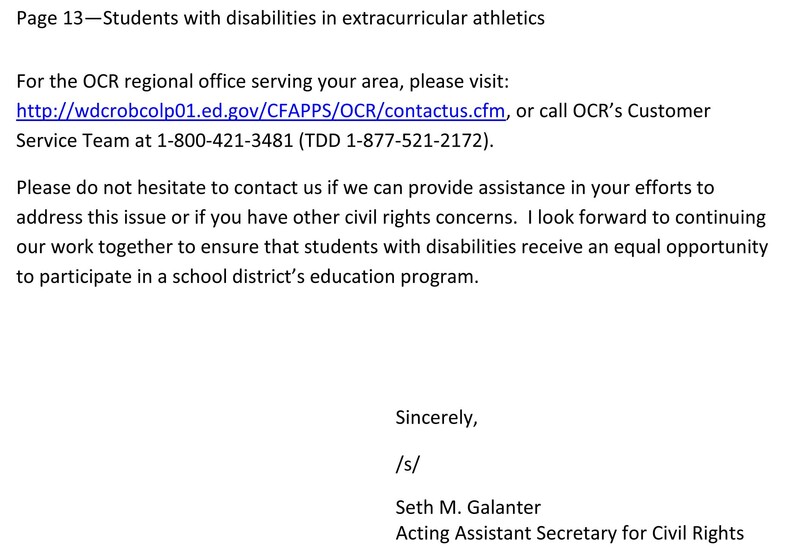 Reblogged this on Civil Rights Clinic.